Finding Gear – Thrift store or web – make a routine and be patient. Audio Gear Knowledge – Use forums and web to learn – but spending $10 on chance can turn out. What to Buy – Bring a way to test equipment – don’t get in over your head. Value – Do some research but always go by your own ear. About 5 years ago I rediscovered my love of music and interest in audio equipment. I consider myself an enthusiast rather than an expert. So it was with the zeal of an enthusiast rather than with the ear of an expert I began my audio journey. Over the past several years I have managed to acquire dozens of speakers, receivers, amplifiers and related audio gear. 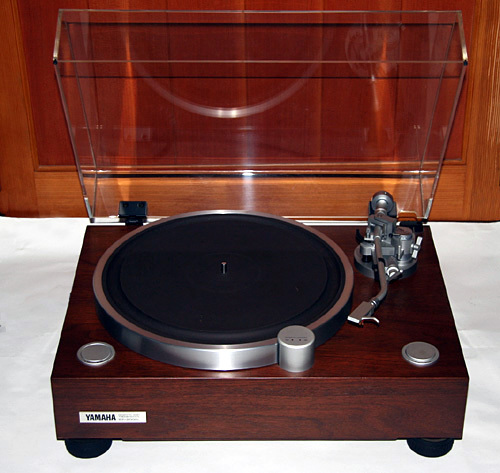 The purpose of this article is not to discuss my past purchases but to share with fellow enthusiasts or audio hobbyists my approach to collecting audio gear. More specifically things I have learned about collecting gear through the second hand market. There are several resources available to someone interested in buying used audio gear. Thrift stores such as those operated by the Salvation Army, Goodwill Industries and other community based groups are an excellent resource for buying used audio gear. Garage sales, Flea markets, Craigslist and On-Line auction sites such as E-Bay are also possible outlets for buying used equipment. The two things that a successful collector will need when looking for equipment at any of these sources are patience and luck. When looking for gear in thrift stores I have seen many people discuss â€œstrategiesâ€ as to the best time of week, month or year to find audio gear. It has been my experience that these â€œstrategiesâ€ are not very useful as there are too many variables involved. The best advice I can give in this area is to employ a little planning and a lot of patience. When using thrift stores or flea stores, map out a route that will allow you to stop by them on a consistent basis. You can go with a family member or a friend who holds a similar interest in finding â€œlost treasuresâ€. The advantage that thrift stores or other local second hand sources have over on-line sites is that you often will have the chance to inspect and test the equipment prior to purchase. You should consider putting together a little â€œtest bagâ€ with items such as speaker wire, RCA cables and possibly a music CD that you know very well. When testing receivers or other components I use a pair of Realistic Minimus 7 mini-speakers to test for any issues. They are very compact and produce good sound that will allow you to assess most gear being tested. Similar micro book shelf speakers should serve the same purpose. Do not assume the store or seller will let you test it. Always ask permission first and test the gear only long enough to determine if there are any issues. When testing gear in a store do not make a mess and make sure to place things back as you find them. Not only is this courteous it will generally insure that they will let you test gear in the future. Craigslist is sometimes called an on-line garage sale. You should search it consistently and do not restrict your search to just the â€œElectronicsâ€ section. You never know how someone will list an item for sale. 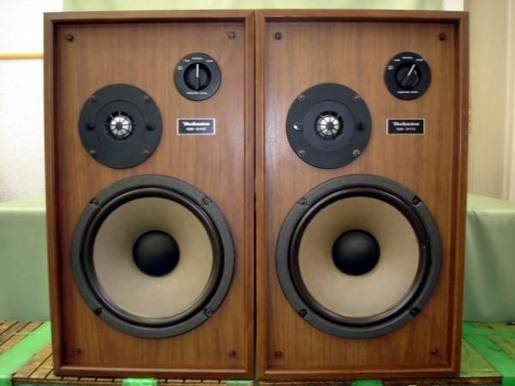 For example, I was able to pick-up a pair of Klipsch Heresy IIâ€™s at well below market price because the owner posted them for sale in the â€œFurnitureâ€ section. Also do not be afraid to search outside of your immediate area. Determine the distance you would be willing to travel for a quality piece of gear. You can then start searching Craigslist in those areas as well as your local area. One note of caution when considering purchasing items off of Craigslist, you need to think safety first. Meeting a total stranger with a wad of cash in your pocket might not always be a good idea. When talking to the seller if your first instinct is one of concern you should trust your instinct. Agree to meet the seller in a public place, bring a friend and let people know where and what you are doing. This can make testing the gear problematic but obtaining a good power converter that you can plug into your carâ€™s cigarette lighter along with your â€œtest bagâ€ and mini-speakers will allow you test most gear using your car. With my power converter and other testing gear I have been able to test everything from laser discs to turntable from the roof of my car. Now that you know where to buy used gear how will you know what to buy? Let me start here by saying that ultimately that your opinion is the only opinion that counts when it comes to selecting gear. Depending on your knowledge level you may not need to consult outside resources on what used gear to purchase. If you are reading this guide then you have already found one source. A variety of on-line communities exist which are dedicated strictly to audio/video gear or music. Reading and asking questions about equipment on these sites can greatly increase your knowledge and help you share ideas with people with similar interests. You certainly will find people on these sites with certain perspectives and bias towards gear. There is nothing wrong with this as long as you understand their perspective and weigh it against your own preferences. Keep an open mind, read a variety of sources and even the most experienced audio hobbyist will learn something from other members of these communities. Magazines and e-mags dedicated to audio/video and music can also be great tools. They too can carry their biases into their opinions of equipment thought it might be harder to spot unless you read them regularly. Also they will supply lots of specifications. This can be useful information once you understand the application of these specifications. I would just suggest here that you do not make buying decisions strictly based on specifications. Your listening preferences cannot easily match up to specifications so trust your ears over graphs and charts. I currently have a matched set of B&K M200 Monoblock amps. I have the original papers with all the technicl specs that camew with them. They have been one owner amps soly. I’m very seriously thinking about selling them, because I am no unable to get around with ease and my sourround sound system is remote contol. Does anyone have an idea as to what I should ask for them should I opt to sell them? To get a good idea of what these are selling for therte are several companies that compile sales data from Ebay and sell you the rights to use the data, you can get a free 7 day trial from Worthpoint, the newest contender in the Ebay info ring and Terapeak [ ebay owned ] but you can log onto Ebay go to search, the advanced search type in you item then select completed listings only, you will get two weeks of ebay sales resultd from that item, or you can simply get on google type in your item and ebay, ended auction results will be in the search results, cliuck on them and see what they sold for. Or heck Ill buy them…..cheap ! O.K. Did some reaserch for you there has been 3 listings fotr these Sonata mono amplifiers in the last 90 days, one pair was listed for$700.00 had a few scratches, and a dent on the back and received no bids, a clean pair in good working order received many bids and eventually sold for $610.00 plus shipping and finaly, a single m200 mono amplifier in good condsition sold for $179.00 plus shipping so iut looks like $610.00 right now is the high water mark on ebay, however you can take a look at Audiogon and see if there are any for sale there, if yours are clean with manuals and the box I would be willing to offer $400.00 plus the shipping to me. Just checked Audiogon, none listed may be your best bet for listing, take a look at Audiogon.